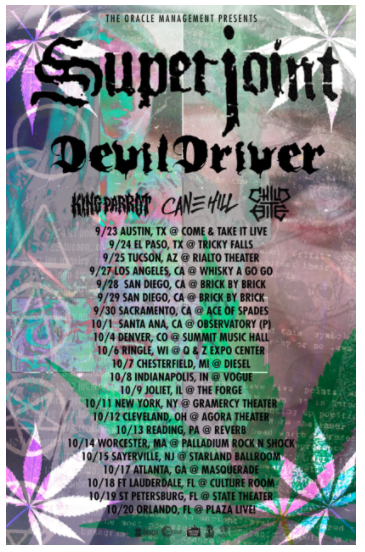 Kicking off this fall is the Broken Bones Tour headlined by Devildriver and Superjoint, with support coming from King Parrot, Cane Hill and Child Bite. Starting September 23rd in Austin, TX and running till October 20th in Orlando, FL. Check out the complete list of dates below for what is set to be one of the heaviest and grooviest tours this year.